Helmet Morion used from the middle 16th to early 17th centuries, usually having a flat brim and a crest from front to back. Helmet Morion is a type of open helmet its introduction was contemporaneous with the exploration of North, Central, and South America. The morion's shape is derived from that of an older helmet, the Chapel de Fer, or "Kettle Hat." The helmet is handmade from steel. Thickness of the steel to choose: 1,2 mm - 2 mm (18 ga -14 ga). A comfortable, adjustable, and padded liner is riveted into the helmet, as well as a leather chin-strap with a stell buckle. - Thickness of the steel to choose: 1,2 mm - 2 mm (18 ga -14 ga). - Adjustable liner with chin straps is included. Helmet Morion is produced by highly skilled artisans in Italy, equipped with leather straps and external adjustable buckles to be worn. Wearable medieval armor (shiny) made of steel, handmade with wood base and steel sword. Sword of double-valve de Don Alonso Quijano, better known as Don Quixote, knight errant, with a great sense of duty and honor that goes beyond the boundaries of reality. Shield King Richard the Lionheart Shield Steel by Marto. Coat of arms of English kingdom. Lionheart is a symbol of knighthood and chivalry. Shield of the famous English crusader king. Arwen plated silver earrings, hypoallergenic, with crystals Swarovski from the movie The Lord of the Rings. Witch King Helmet, authentic reproduction of the helmet Witch-king of Angmar, steel helmet, wearable, robust. Medieval Costume of the Knights Templar Luxury Knight Templar tunic and cloak. Traditional clothing of Knights Templar Costume: coat and white robe, accompanied by both a red cross sewn license. Medieval Knight Armour completely portable and functional. Medieval Knight Armor, Medieval Full Suit of Armor includes all parts of the Armour, which are shown in the image. The offer includes the Trolls: trolls 240 - 246 - 251. Greek Corinthian helmet of the fifth century BC, with crest and nasal paragnatidi fixed. Widespread in all the Greek colonies. Helmet Spanish Horse XVI Seco embellished with engravings, slits for eyes are drawn on the front of the cap, visor covers only the small central area of &#8203;&#8203;the face. 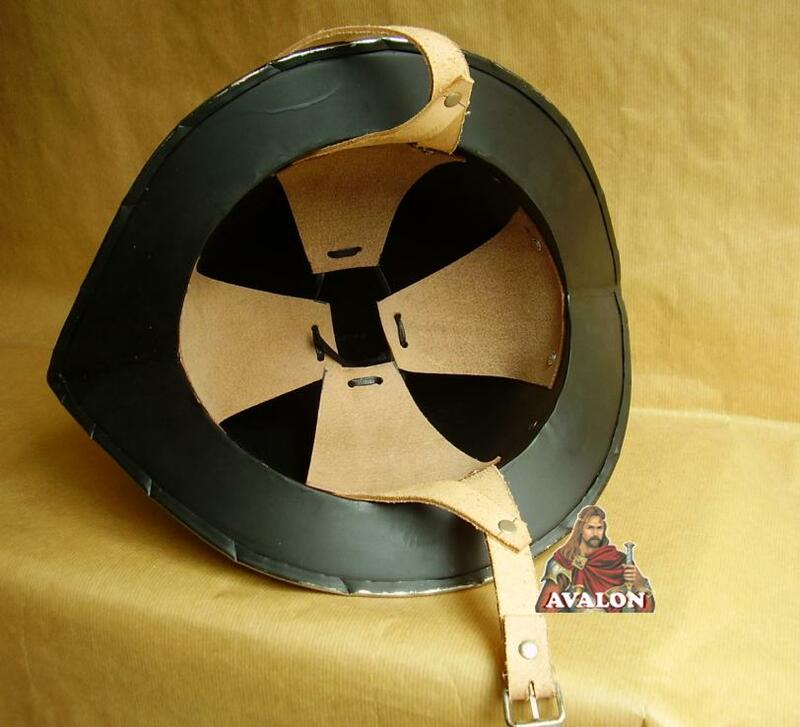 Templar shield with a pointed head, and with the lateral margins curved and pinned down, file size: 44 x 98 cm. Helmet Achilles metal fully wearable. Trojan war helmet with liner Achilles (as played by Brad Pitt) wore a similar helmet in the movie Troy. Shield used in the Middle Ages, convex shield to the head and lateral margins arched, pinned down, shows a griffin rampant. Helmet called pots, were the typical helmet used by the Knights Templar Crusaders and especially for the duration of the Crusades. Shield used in the Middle Ages raffiugurato a Biscione crowned and a human figure in its jaws, length 70 cm. Chapter 40 cm width. 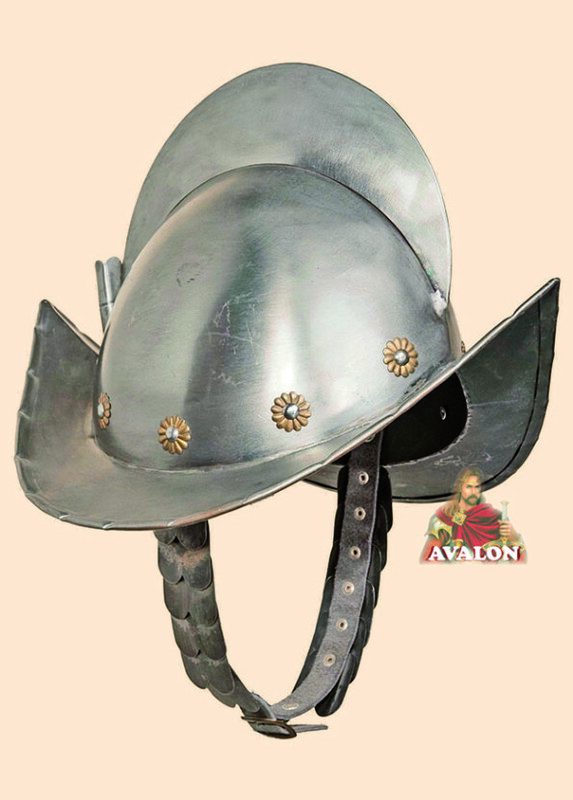 The Spanish Round Morion Helmet by Marto of Toledo Spain is a full size reproduction of a 16th century helmet. Sword spread throughout the Mediterranean region whose origin is probably Italic or Etruscan. Porcelain sculpture depicting two children sitting, height 10.24in (26 cm). beautiful statue porcelain handmade in Italy. Certified copy of a greek shield in original size, was taken by Brad Pitt Achilles in the movie Troy. Reconstruction of a legionnaire’s gladius, the sword was a weapon that came to the Roman legionnaires. Total..
Long Sword with scabbard, total length 116 cm, the sword comes with a leather-wrapped wooden scabbard with metal..